A look at the life of rock and roll pioneer Chuck Berry, who has died aged 90. 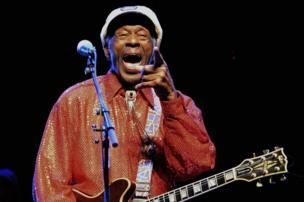 Born in St. Louis, Missouri, in 1926, Charles "Chuck" Berry was destined to become an icon. At times controversial, he served time in jail for armed robbery in his teens. 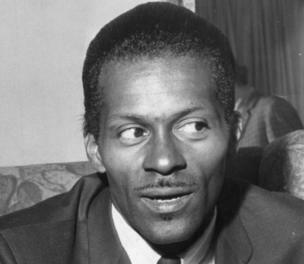 Loved for his infectious guitar licks and signature "duck walk", Berry (pictured in 1965) became the Rock and Roll Hall Of Fame's first ever inductee in 1986. 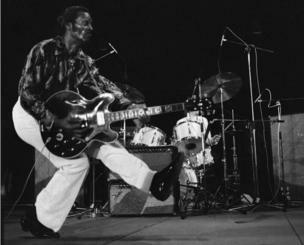 Berry, seen in 1981, influenced bands including the Rolling Stones, the Beatles, and The Beach Boys with songs like Johnny B. Goode, Sweet Little Sixteen and Roll Over Beethoven. Though he was in his late 20s before his first major hit, his lyrics spoke to the teenagers of the 1950s - and remained fresh decades later. 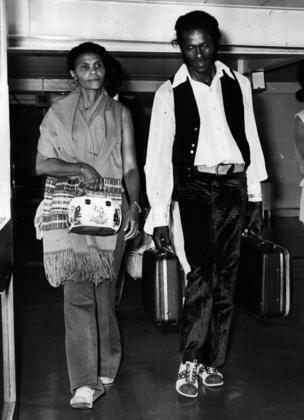 A 1972 picture captures Berry at London's Heathrow Airport with his wife Themetta, who stayed by his side from 1948 to his death, despite his well-publicised indiscretions. 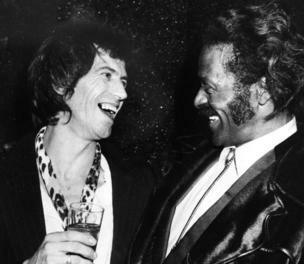 Keith Richards of the Rolling Stones said of him: "It's very difficult for me to talk about Chuck Berry because I've lifted every lick he ever played. This is the gentleman who started it all." 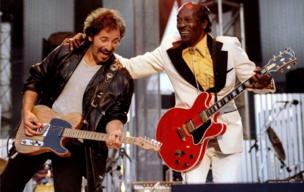 Bruce Springsteen and Chuck Berry perform Johnny B. Goode at Cleveland Stadium in September 1995. Paying tribute to Berry online, Springsteen called him "rock's greatest practitioner, guitarist, and the greatest pure rock 'n' roll writer who ever lived". 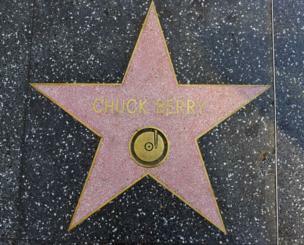 Berry appeared in a dozen films, including Go Johnny Go (1958), Sweet Toronto (1971), and Let The Good Times Roll (1973) - and has a star on the Hollywood Walk of Fame. Berry poses for a shot with then US President Bill Clinton (left) and newly elected British Prime Minister Tony Blair in June 1997. 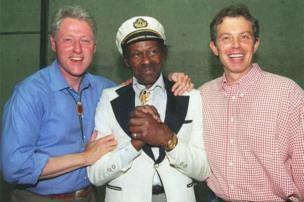 Berry pictured with fellow rock and roll showmen Little Richard (C) and Bo Diddley (R) in 2002. Bob Dylan called Berry "the Shakespeare of rock 'n' roll", and he was one of the first popular acts to write as well as perform his own songs. Berry, pictured in 2011 with his eldest daughter Ingrid, is survived by his wife Themetta ‘Toddy’ Suggs and their four children. 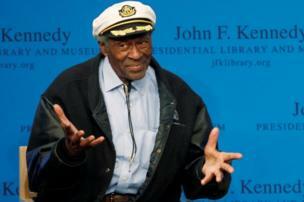 Chuck Berry, seen here in 2013, marked his 90th birthday three years later by announcing he would release his first album for 38 years. 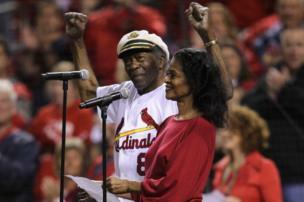 He dedicated the LP to his wife - "my beloved Toddy" - saying: "My darlin', I'm growing old! I've worked on this record for a long time. Now I can hang up my shoes!"